The recent Ebola virus scare at Carolinas Medical Center reiterates the importance of the importance of hygiene and following infection control protocols. The recent news story of an Ebola scare from a patient at Carolinas Medical Center is a testament to the ongoing industry focus of maintaining a hygienic environment for patients in any hospital setting. According to the article, after discovering that an Emergency Room Department patient suffering from a fever had recently traveled in Africa, hospital staff quickly quarantined the patient as a safety precaution in case the patient was indeed infected with the Ebola virus. It was determined later that the patient did not have the virus but instead could have been infected with malaria and possibly another disease. Unfortunately, after hospital staff roped off an area of the ER, rumors began to swirl around that a patient may have the Ebola virus causing a slight panic both inside the hospital and among the community. Thankfully, the patient was not in fact inflicted with the Ebola virus – which is a highly contagious disease, “ transmitted to people from wild animals and spreads in the human population through human-to-human transmission” according to the World Health Organization (WHO) Web site. A scary scenario indeed, but in the end the patient did not have the Ebola virus and a potential crisis was averted. Hospitals have always maintained strict infection control protocols within their facilities to help stop the spread of germs and bacteria that could potentially lead to the dangers of nosocomial infections. Renewed emphasis on maintaining airtight hospital infection control policies continues to be a hot topic in the healthcare industry due to recent reports that it is still a major issue for patient safety. 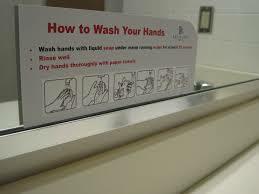 A quick glance around a hospital setting with all of the hand washing signs and reminders to cover the mouth when coughing on sneezing reiterates that hospitals continue to educate patients and staff that maintaining a hygienic environment is and always will be, the linchpin of patient safety. As a vendor that deploys biometric patient identification solutions within hospital settings, we take the topic of hygiene very seriously and work hard to deploy solutions that support hospital infection control initiatives. Regardless of the biometric modality that a hospital decides to deploy as the identification hardware for their use of biometrics for patient identification, stressing the importance of hygiene and following infection control protocols regardless of the biometric technology you use is a key component of our effort to support patient safety initiatives. It is the responsibility of any healthcare vendor to support hospital infection control with their solutions and help facilitate a safe environment for patients and staff. The recent Ebola scare at Carolinas Medical Center ED is a stark reminder that hospitals continue to remain cognizant of supporting infection control protocols that could have devastating effects on patients if not handled properly. Hat tip to the Carolinas Medical Center staff for their diligence and quick thinking to enact hospital infection control initiatives in the wake of this scare. 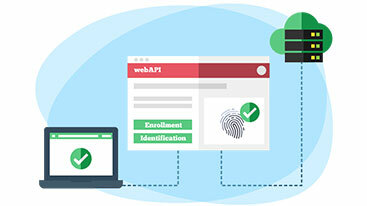 Why Integrate Biometrics with Membership Management Software?